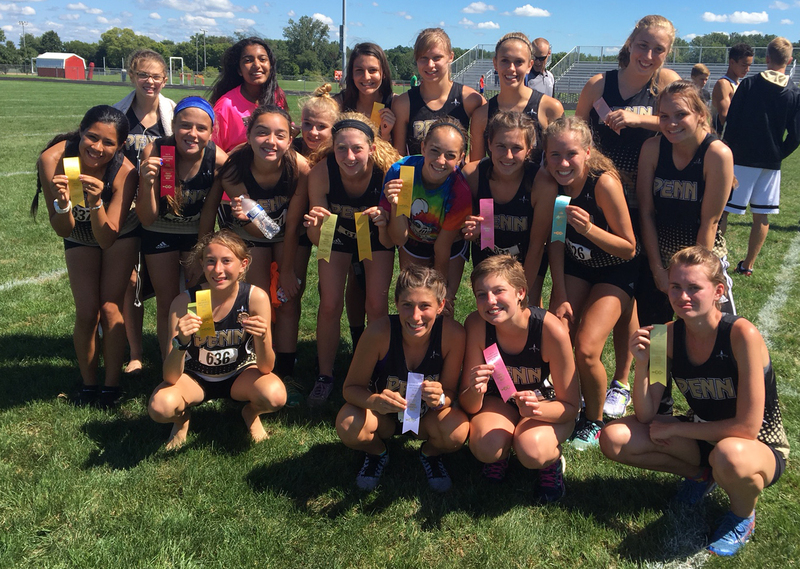 Penn Girls Cross Country had its second varsity team and its junior varsity team turned in outstanding efforts in the Manchester Invitational on Saturday, Sept. 3. The Penn girls varsity runners placed fourth, and the Penn JV won the JV championship, led by JV individual champion Emma Halicki. Ashlyn Johnson led Penn in the varsity race with a 10th-place finish. Anne Loughran placed 15th, Aislynn Alkire placed 20th, Kendra Laidig placed 38th, and Alex Blosser placed 39th.